Take the fun way to Yellowstone this summer! With the Dinosaur dig package, you can spend your day unearthing the bones of a T-rex, Triceratops or a Supersaures. This is an activity the whole family will enjoy with the recent release of the Disney/Pixar film, “The Good Dinosaur,” which was inspired by Wyoming. The Wyoming Dinosaur Center in Thermopolis is also home to over 300 skeletons, various dig sites and a gift shop. Flexible packages will ensure you get the most out of your day and schedule. Enjoy your day with a hole in one! Select our golf package and take a visit to the Riverton Country Club. With a spectacular view of the Wind River Mountains, you will get some fresh Wyoming air while you take on the 18 hole golf course. Ready for a wild ride? The white water rafting package is the right adventure for you. Enjoy the breathtaking view while your ride the waves of the beautiful Wind River Canyon. All packages include a night stay at the Wind River Hotel and Casino. 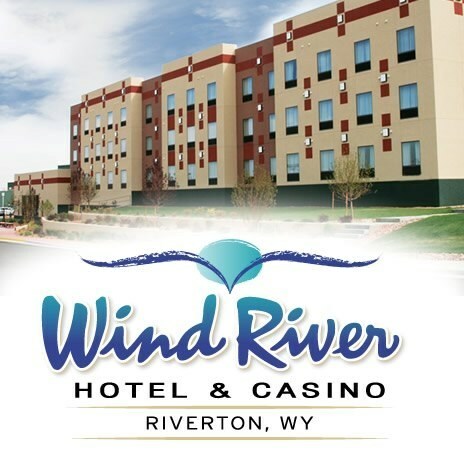 Located two miles south of Riverton, Wind River is Wyoming’s largest gaming establishment with over 800 Las Vegas style slot machines and multiple table games. Wind River also has the best dining options in town. The Red Willow Restaurant features juicy steaks, fresh lobster and decadent desserts. But that’s not all! The Buffalo Restaurant has four different dining options everyone will enjoy; pizza, ribs, salads or tacos are on the menu. Looking for a quick bite? The Cee’nokuu Café and Espresso Bar has you covered. Enjoy a hearty hamburger, Indian Taco or one of their delicious monthly drink specials. Wind River Hotel and Casino's 90 room hotel will be the perfect place to lay your head after a day of excitement. Wake up to the beautiful Wind River Mountains from the comforts of your room. Featuring three luxury suites, pet friendly and handicap accessible rooms, free Wi-Fi and a fitness center -- they work hard to make sure your stay is enjoyable. For more information please visit windriverhotelcasino.com!